Traditional beauty is the best way to describe the lovely Taylorsville neighborhood known as Kingswood. If you take Highway 44 to Kings Church Road, you will find Kingswood. Kingswood subdivision was developed around the early 2000s. Kingswood is home to several all brick homes. Some homes in Kingswood do have some vinyl or wood; however, the majority of the homes are all brick. Most of the homes in Kingswood are traditional style homes. Custom built homes are very common in Kingswood so you are likely to find a unique looking home. 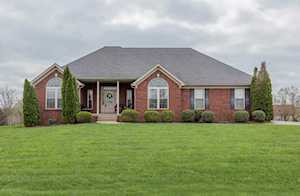 Current homes for sale in Kingswood, a subdivision in Taylorsville, are listed below. The Hollinden Team updates this search for Kingswood houses on a daily basis from the Louisville MLS. The Hollinden Team has worked with buyers to find their dream home in Taylorsville. Check out the Hollinden Team reviews to find out what our past clients say about us. We would love to assist you in finding your next home or selling your home in Taylorsville. Feel free to use the Advance Search Tools of our Louisville MLS to find other houses for sale in Taylorsville. Click the map to the left to view each home for sale in Kingswood. There is a satellite view button in upper right. Homes in Kingswood range from 1,500 to 3,500 above grade square feet. In Kingswood houses, you typically will find three bathrooms and three to five bedrooms. Just about all of the homes in Kingswood have basements and many are finished. Homes in Kingswood range from around $270,000 to $410,000. Most homes in Kingswood have a two car side entry garage. About half of the homes in Kingswood are ranches and the other half are two-story homes. If you are looking for a little more space between your neighbors but don’t want too much land, you will love Kingswood. Most homes in Kingswood have at least half an acre and some have a little over an acre. For grocery shopping, the closest Walmart to Kingswood is about twelve miles away. The closest Kroger is around nine miles away. Kingswood neighborhood is close to I-265, making traveling to other areas a breeze. For shopping malls, you will have to travel to Louisville. However, being close to the expressway makes traveling to Louisville more convenient. There are a few restaurants near Kingswood neighborhood which include: Aidyn’s Family Restaurant, Yvonnes Sport Café, Hometown Pizza, Lyndas Grill, and Snappy Tomatoes Pizza. There are also several fast food restaurants in the area. Kingswood is in the Spencer County School District. Some of the schools in the area include Spencer County Elementary, Taylorsville Elementary, Spencer County Middle School, and Spencer County High School. Spencer County School District was named the District of Distinction in Kentucky from 2014-2015. If you would like to learn more or have any questions about any of these Kingswood houses for sale, or others in the zip code 40071, just click the "Request More Information" button on any property detail page. The Hollinden Team can provide you with past sale information, comparables, disclosures, PVA assessment, and tax information – we would love to answer any real estate questions you have.